If some of the below seems familiar that’s because I swiped it wholesale from my review of the “Dual Cask” rye. Sorry, but sometimes I just phone it in. I may or may not be packing for a trip to Disneyland right now, and I may or may not have time to devote to quality blog content. Equivocation is the sharpest arrow in a blogger’s quiver. There’s always this awful moment, for a blogger, when a package arrives in the mail from an upstart craft distillery. Obviously, I need to maintain my illusory blogger credibility by thoroughly panning slop, even if it’s free slop. When that happens, though, I have to email the poor PR rep or (worse) distillery employee and provide a link to my review of their hard work. This sort of thing can be very awkward. You can imagine my relief, then, when I open a free bottle and discover something tasty and easy-to-like inside. The Interwebs may decide that I’m full of it, but at least I can sleep at night. 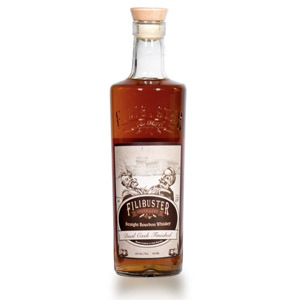 Filibuster is a Virginia-based distillery that (ironically) started out as a blending house with no plans to distill. Then, I can only imagine the inexorable draw as the craft whiskey industry sang its siren song (yes, these are the kinds of things I sit in front of my computer and imagine) and the company purchased a defunct apple processing plant in the Shenandoah valley, in Virginia, and began installing stills. As is the case with just about every other distillery or “distillery” opened this decade, the liquid is not quite ready to barrel yet. Best guess, they started distilling in 2017 so we can expect real Filibuster juice around about 2021. Until then, Filibuster bottles contain sourced whiskey, and have since they started producing in 2013. For what it’s worth, the distillery has a continuous still and is aging in 53-gallon kiln-dried new American Oak at their facility in Virginia. They are sourcing local grains (indeed, from farms in the same Zip code) and even publish the farms where the grains are grown. None of that matters yet, because what we have here is no-name bourbon from somewhere. Where? The back of the bottle says “Distilled in Virginia and Indiana”, so if we take this at face value it’s probably MGP bourbon with some of the distillery’s own (very young) output mixed in? There are a number of other distilleries in Virginia, so it could be sourced from any of them. 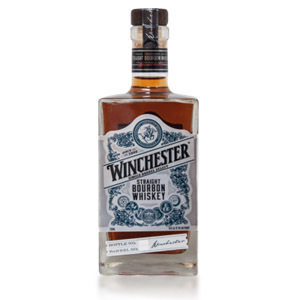 The website suggests that this “less than four year old” (uhh… so two year-old, the legal minimum) straight bourbon is from a mixture of old and young casks with an average age of 4-6 years. The mash bill appears to have changed from batch to batch as well, which implies that the sourcing has changed. 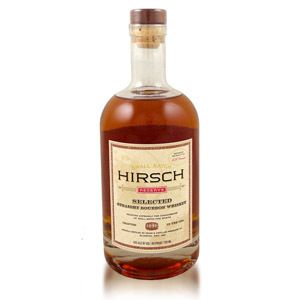 This bottle is from a 70% sweet corn, 20% rye, and 10% malted barley mash bill. The twist, though, is that the vatted bourbon is finished for an additional rest of two or three months in California “wine-seasoned” (both red and white) French Oak barrels. Oh yeah, it’s called Filibuster because it’s made just outside of Washington D.C. Yuk Yuk. My bottle is from Batch #27 and is bottled at 45% ABV. Thanks to Annie for the generous samples! Nose: A little shyer than the rye, with a distinct pine resin note that likely derives from the rye grain component in the mash. A rest in the glass intensifies the pine a bit, and reveals only a shimmer of jammy fruit. Overall impression is dry and dusty. Palate: Syrupy body. Moderate tongue burn. There are flecks of maple syrup and a rash of oaky sweetness that rids it of dryness, but there’s not a lot of complexity otherwise. Faint woodsmoke and fainter dusty rye spices. Finish: Medium-short. Back to being dry, with echoes of spice (now I get some of that clove and cinnamon I was expecting) and some barrel tannin. Not too bitter, but not particularly complex. There are some nutty notes (hazelnut or walnut) on the fade-out. With Water: A few drops of water coax out peanut butter, vanilla and more maple, and smother the pine resin notes. This gives the aroma better balance and some kind of identity. 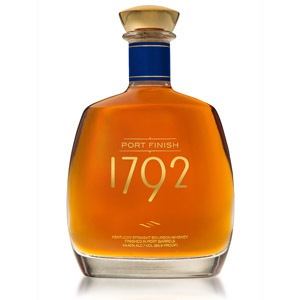 The palate retains its sweetness, and the finish seems a little more alive. Water is highly recommended with this one. 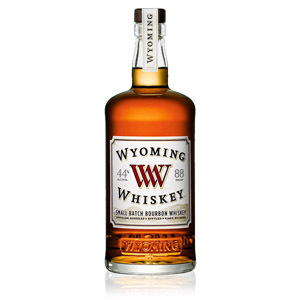 Overall: A shy bourbon, with hints of interesting flavors and aromas that never quite announce themselves, although a splash of water helps. 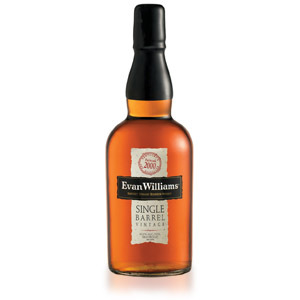 The bourbon starts dry, becomes lightly sweet across the tongue, and then flees. The wine finish is so much in the background that it almost disappears. This is far less successful than the rye, which I thoroughly enjoyed. Acquired: Review sample. Thanks Annie!